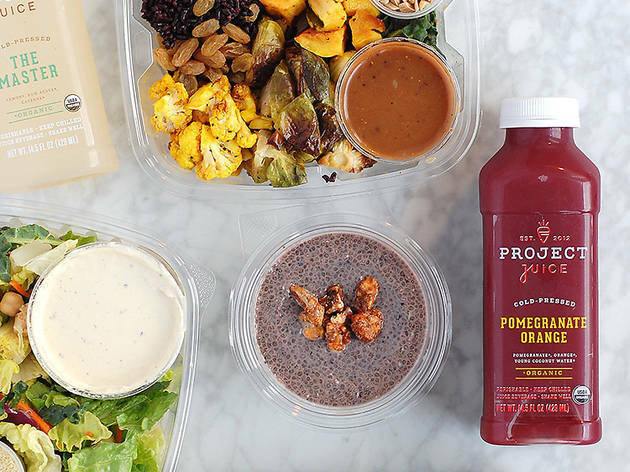 California mini-chain Project Juice serves up over three pounds of vegetable in each to-go bottle. The #Getyourgreens attributes its popularity to a balance of cilantro and aloe; for something more exotic, try the Black Magic, which gets its inky color—and super antioxidant powers—from activated coconut charcoal. Cleanses cater to juicer’s differing desires, whether it’s seasonal or low-sugar. 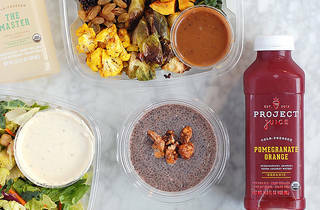 If you’re not ready for a full-blown cleanse, Detox Companion Kits present a more moderate option: ten juices and ten Wellness Shots, to be consumed over the course of five days in addition to light meals.